Gov. 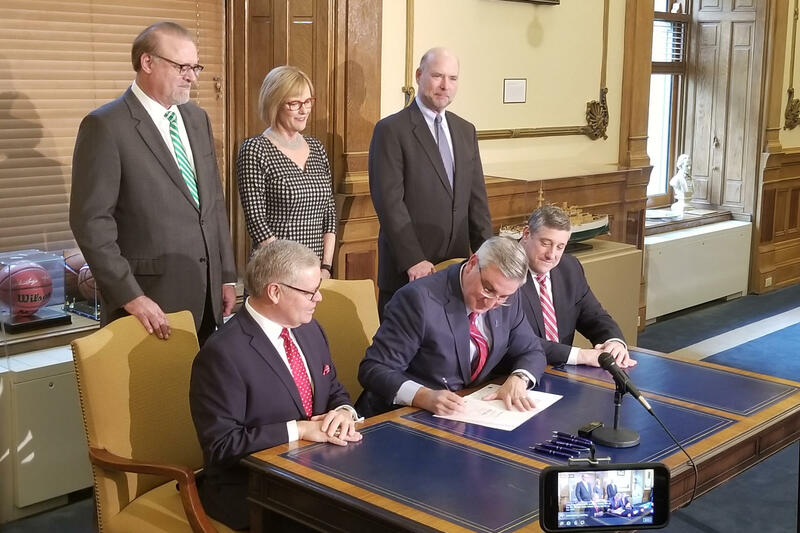 Eric Holcomb signs Sunday alcohol sales into law, the first time in Indiana state history. Sen. Ron Alting (R-Lafayette) wrote the bill and says the timing was right. Carry-out alcohol sales won’t be legal all day Sunday – just from noon to 8 p.m. Alting says he plans to take a look at that restriction in the future and see if adjustments should be made. House Speaker Brian Bosma says more changes are in the works for alcohol reform. “This will be the first of several no doubt revisions to the alcohol code,” Bosma says. It does not include some provisions others still want, including the ability for sellers other than liquor stores to sell cold beer.